So far, Xiaomi has refrained from taking part in the feature-phone boom triggered after the launch of JioPhone last year. However, it seems the Chinese company has some smart plans for the feature phone market. So far, Xiaomi has refrained from taking part in the feature-phone boom triggered after the launch of JioPhone last year. However, it seems the Chinese company has some smart plans for the feature phone market. 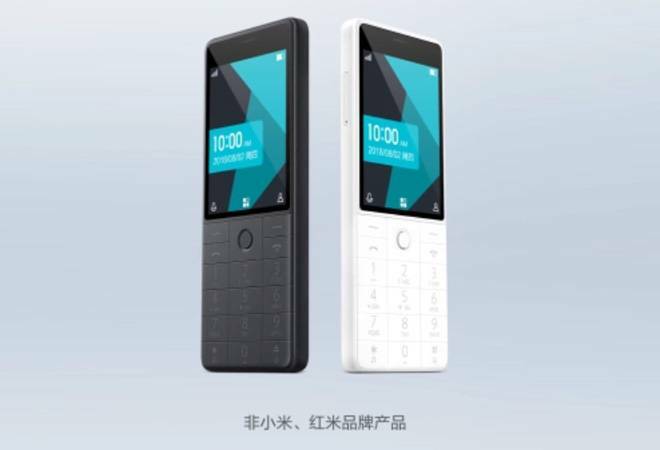 The company's crowdfunding platform in China called YouPin has listed a new feature phone shipped by Shenzhen Duojiao Technology Co., Ltd. The feature phone is named Qin1 and looks the part with the candy phone form factor, but there's more to it than just calling and texting. Similar to JioPhone, voice commands can be used to provide input but in this case it is guided by artificial intelligence. The phone is not only able to receive voice commands but is also able to do real-time multi-lingual voice translation. Currently, the phone is funded at a price of just 199 yuan which is slightly below Rs 2,000. According to a report by GizmoChina, the phone is expected to start shipping from mid-September. The device will go on sale in two variants, Qin1 and Qin1s. The latter is much more comparable to JioPhone as it can access 4G network. The Qin1 on the other hand is built just for 2G network. Other than the network speeds, both devices have similar physical dimensions and features. The device sports a 2.8-inch IPS screen with a resolution of 240x320pixels which also gets Corning Gorilla glass protection. The display is expected to be much sharper and colourful than JioPhone's 2.4-inch QVGA display. Considering that the Qin1 is a feature phone, the device is expected to have an incredible battery life and the phone on Xiaomi's YouPin doesn't disappoint. The phone comes with a 1480mAh battery which the company claims can provide a battery life of 15 full days on standby and 420 minutes of voice calling. The phone comes with USB Type C port which could also be a first in the feature phone segment. The device also comes with a dual SIM Slot and WiFi connectivity. Another nifty addition is an IR blaster which is mostly found on Xiaomi smartphones. This IR blaster will help use the phone as a remote control for electronic devices like ACs, TVs and more. The device has received more than twice the amount they needed for the funding on YouPin. Xiaomi is expected to work on the commercial variant of the device. For Indian enthusiasts, there's no major revelation so far. The feature phone market has seen a sharp growth after a long period of stagnant growth. Xiaomi has noticed the new segment and may try to undercut the competition with its expertise in smartphone manufacturing.